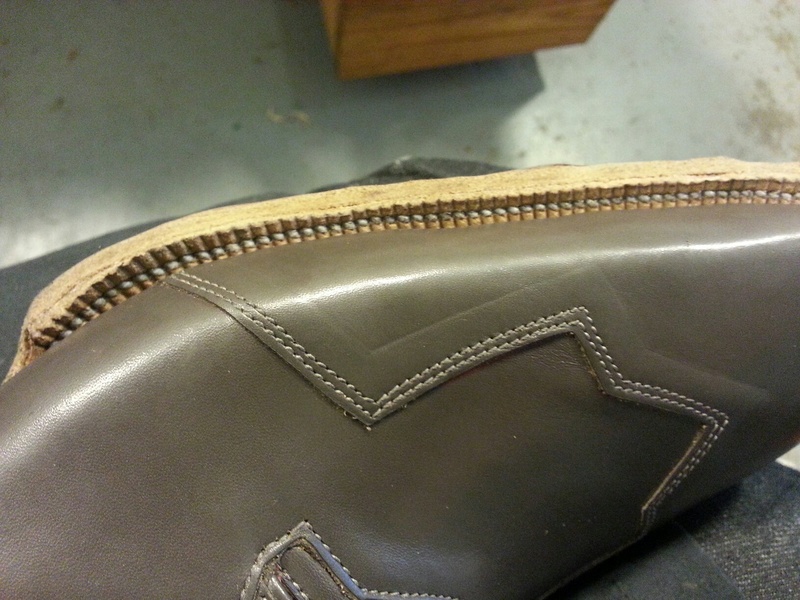 I am finishing a shoe right now and the customer wears their toes out quickly. Solution? 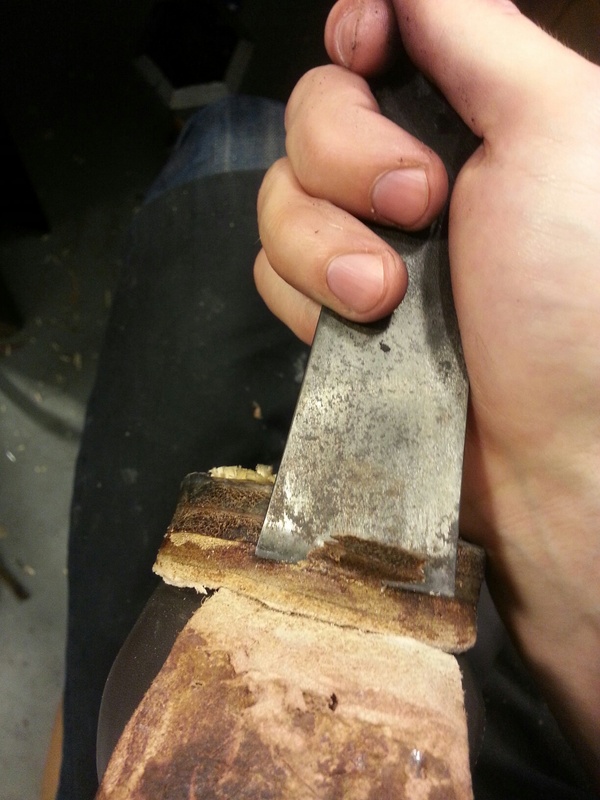 Metal toe plates. 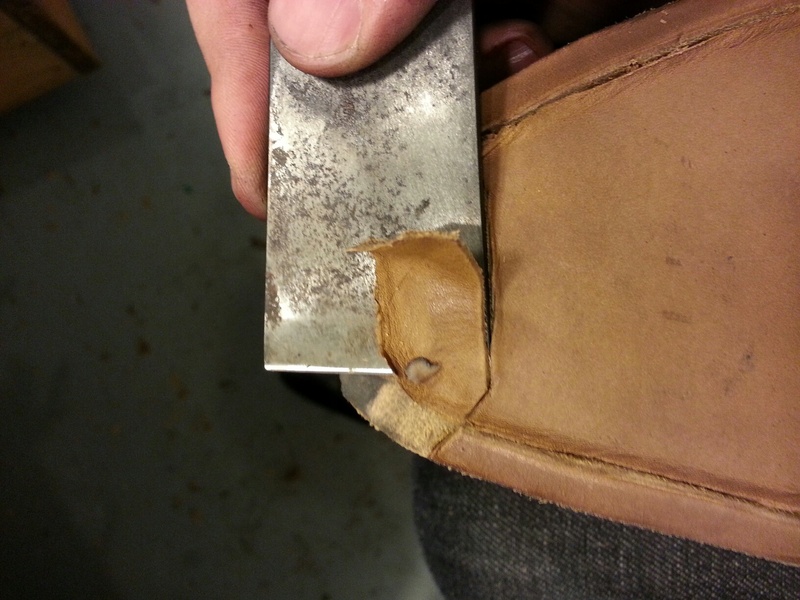 But it preparation to make the plates flush with the sole and keep the stitches protected. 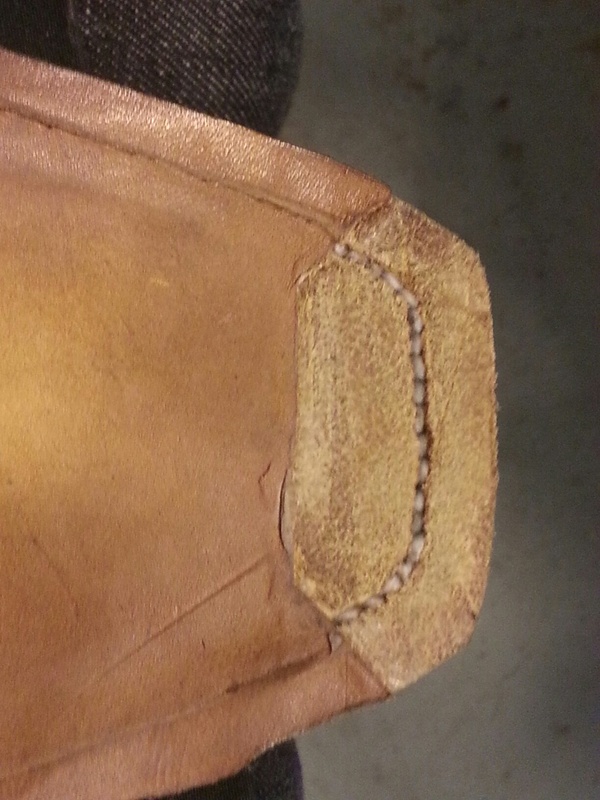 Nice even stitches are very satisfying. 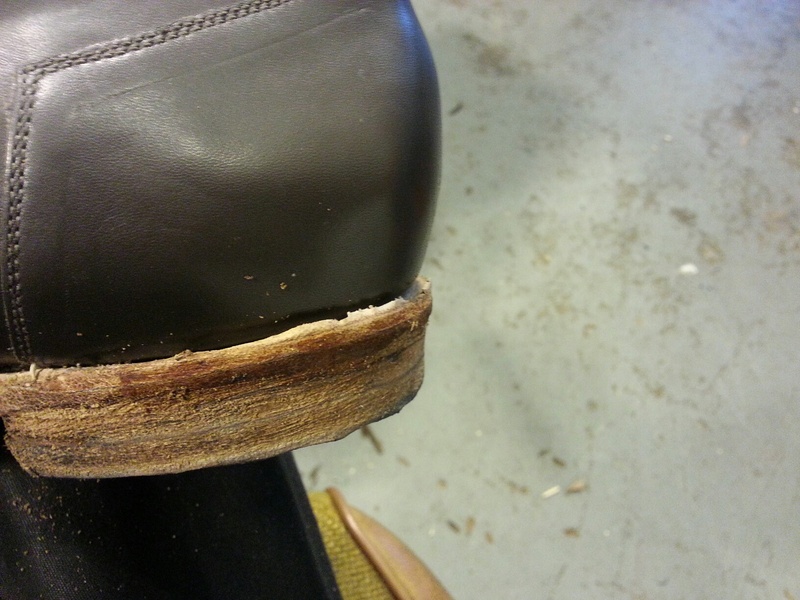 The heels on these shoes are going to have a slight contour compared to the normal flat finish. 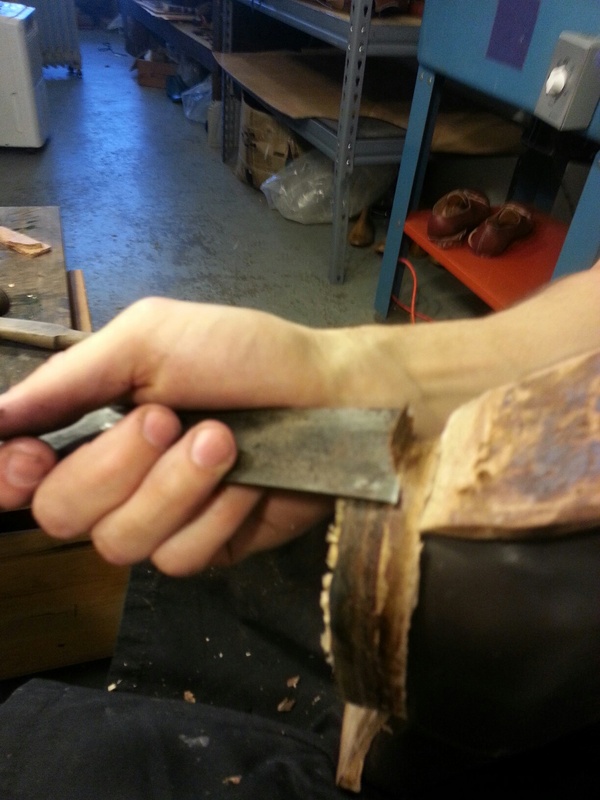 To obtain a accurate and aesthetically pleasing heel I have to “knife up” which is the process of cutting upwards toward the shoe upper. It can be a bit nerve racking and is slow going (for me) but the results are worth it.